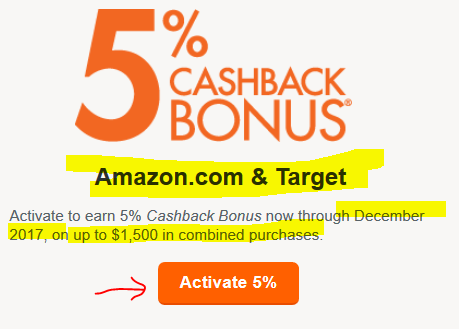 Activate your Discover Q1 2018 5% Cashback Rewards! Time sure does fly! It’s time once again to activate your Discover credit card quarterly rewards for the first quarter of 2018, which runs from January 1st until March 31st in the year. There are two main categories for this quarter, Gas Stations (not superstore or supermarket ones) and Wholesale Clubs. 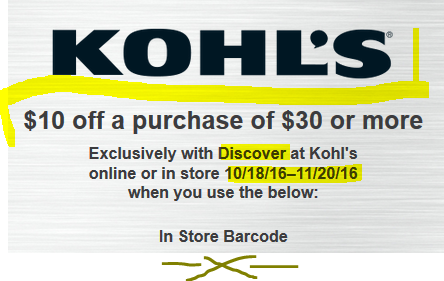 You can activate this from the Discover email announcing it (without the need to login), or you can login to the Discover website or app and activate them at the appropriate place. The limit of $1500 is per card, so if you have multiple Discover credit cards, the limit for the 5% earnings is $1500 per individual (separate account) credit card. This is a reminder alert! If you have Discover credit cards, make sure you activate your Q4 5% credit card rewards for 2017! It’s a pretty good get this quarter, it’s Amazon and Target. There is a maximum spending of $1500 per credit card for the quarter, but that’s a $75 cashback bonus, not a small amount! The quarter runs from October 1st until December 31st in 2017. 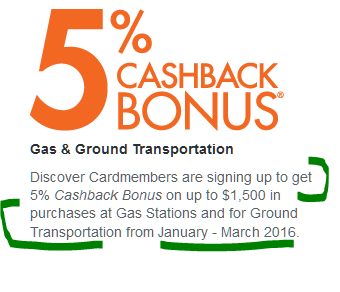 Unlike the Chase rewards sign-up, the Discover sign-up is NOT retroactive for the quarter. It starts after you activate it. It may take a couple of days for it to kick in, I haven’t tested the exact timing of it because I usually sign up the moment I see the new quarterly offers appear (they usually appear a month before they start). This year has flown by real fast. We are not that far away from the 2017 Holiday shopping season and with that we have the fourth quarter credit card rewards ready for activation! 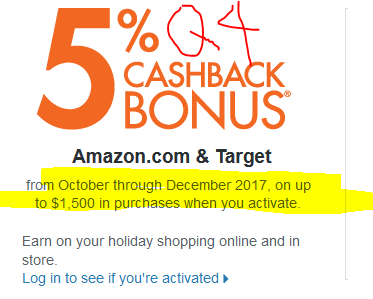 Discover has an even better fourth quarter in 2017, you will get 5% cashback on purchases at both Amazon and Target, two of the biggest online and offline retailers out there. As usual, there is a limit of $1500 in spending per quarter per credit card account. If you have multiple Discover cards, each one has its own limit of $1500. 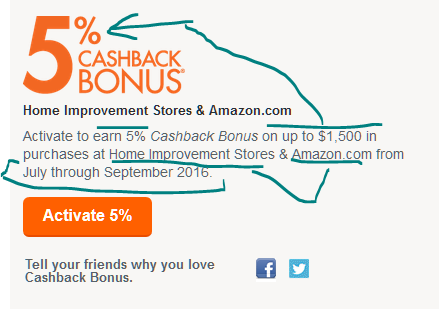 Purchases made above $1500 will earn the standard cashback amount you get on everyday purchases. 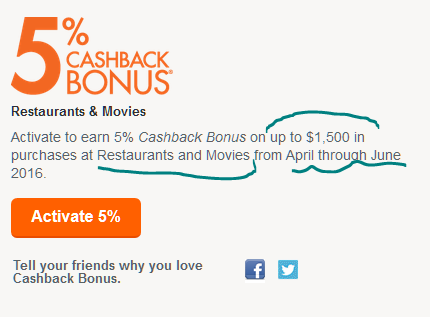 So the maximum Cashback Bonus from this promotion is $75. 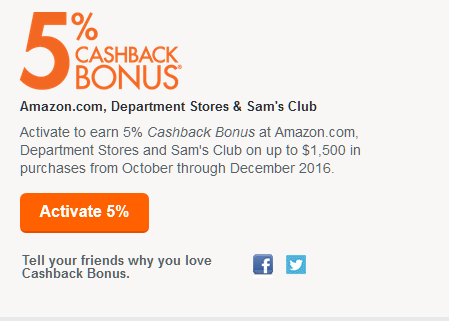 You can activate this right now in your Discover account or app, BUT purchases will count for the 5% rewards for the 4th quarter, which is October 1st until December 31st in 2017. 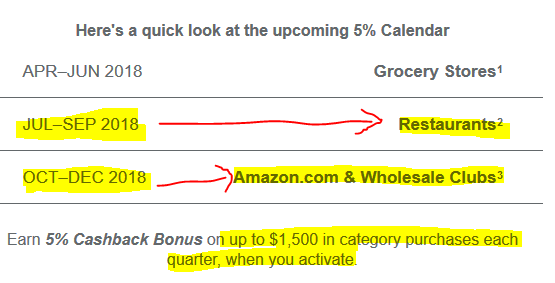 No Amazon as a 5% 4th quarter category from Chase Freedom, but Discover saves the day with their 4th quarter 5% rewards, continuing on with Amazon that was also a featured category in the third quarter. Coming along for the ride with Amazon are Department Stores, another very popular category during the holidays (obviously), along with Sam’s Club. Costco doesn’t accept Discover so they couldn’t include them even if they wanted to. Needless to say, between these three categories, it’s not that hard to get to $1500. Remember, everything you buy from Amazon qualifies for the 5%, including Prime memberships, and monthly subscriptions, and digital content, and gift cards and such. As usual, the quarterly spending limit is $1500 per credit card, not per person, so if you have two Discovers, you get $1500 per. By $1500 I mean the purchase maximum, so the most you will get rewards-wise from this is $75. After that, it reverts to the standard 1% (or whatever rate your card is at). This applies to Chase and Citibank as well. Discover does not allow retroactive activation, so make sure you activate it ASAP! Strategically, you have to triangulate department store purchases between this and Chase, since they both feature them. These are some refresher tips that can help save you even more! 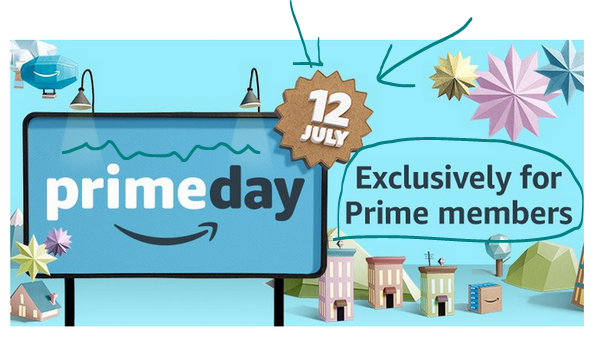 Now that we know that Amazon Prime Day is July 12, in 2016, you have time to make some preparations! If you have a Discover credit card, check the ShopDiscover section of your account. You may be eligible for a promotion that gets you 10% cashback on purchases made at the Samsunng website until 6/30/16. Here’s a screenshot of that. Look at your account for more details. The third quarter (July 1 until September 30) of credit card cashback rewards in 2016 is another promising one. We already mentioned that Chase Freedom gets you 5% at Restaurants and Wholesale Clubs. Complementing that is Discover, whose Q3 promotions cover Amazon and Home Improvement stores. They have the same limit of $1500 total spend in those two categories for the quarter. If you are a Prime member, Amazon has yet another promotion for you. If you make a purchase using your Discover Cashback Bonus, you can get up to $15 off your order by doing so and entering coupon code DISC16EVER in the Amazon shopping cart. 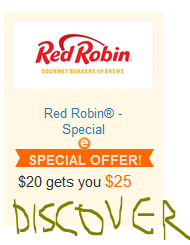 This promotion only works if you hadn’t previously done this. This is a great deal because it is a 1:1 translation, $1 Discover Cashback converts to $1 in Amazon buying power. Needless to say, you need to have your eligible Discover credit card added to your Amazon account. If you had previously used that card on Amazon, it’s all good. If not, you have to follow the steps to “link” them together.